Moving delicate objects is a task that requires precision and care. Every professional company wants to avoid safety hazards and create the best working conditions possible. However, it is also important to improve the speed at which jobs or done so that the overall output of the worksite can be improved. When it comes to transporting items like gas cylinders, many think that there are no tools which can make the job easier. Traditional carts, fork lifts, and pallets can easily support the weight of gas cylinders, but their unique shape makes them hard to balance. The Workplace Depot is excited to offer the Dual Gas Cylinder Truck, a tool which can improve the safety and speed of any industrial worksite. What is The Purpose of The Dual Gas Cylinder Truck? The dual gas cylinder truck is designed to provide a version of a traditional truck that is made to hold two cylinders in a secure and controlled manner. Given that traditional equipment has difficulty holding these items due to their unique dimensions, many think that these cylinders can only be transported safely by hand. The dual gas cylinder truck allows one crew member to quickly transport two cylinders at a time to improve the speed of a job without sacrificing safety. Gas cylinders are common items at a variety of locations. Factories, fuel companies, workshops, and loading zones all frequently encounter these units. The dual gas cylinder truck can prove to be an asset to any commercial location. Every crew wants to improve their output and make sure that moving fragile items like these doesn’t require disrupting other tasks. 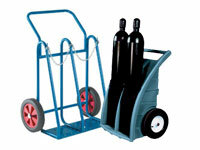 This product is great for minimizing the amount of manpower needed for moving gas cylinders. 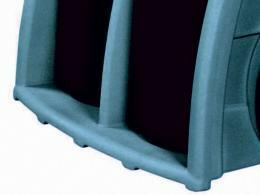 Given its simple design, anyone can use this product at their worksite. In contrast to complicated electrical machinery, this truck provides the simplicity of simple carts and the customized design needed to move multiple cylinders with ease. Even homeowners can make use of this product if they utilize fuel cylinders. 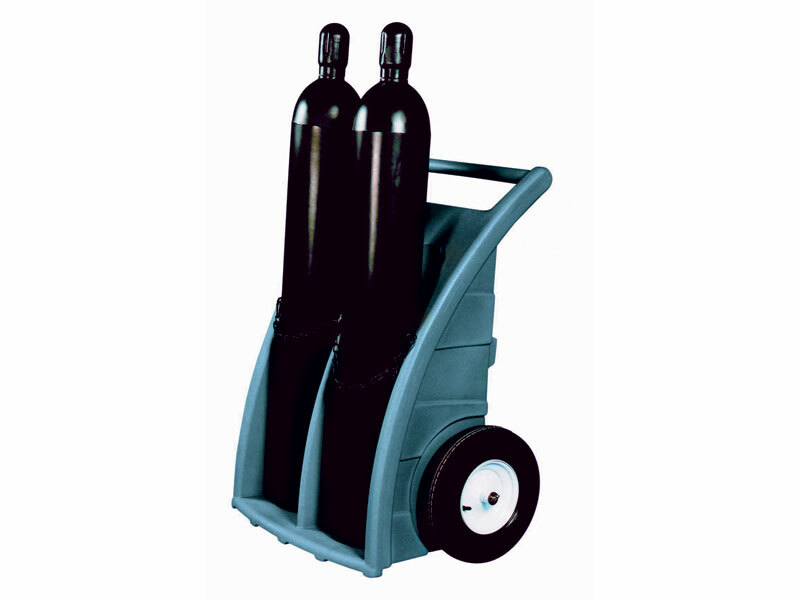 With a 225kg capacity, this unit can easily transport two cylinders that are up to 305mm in diameter. 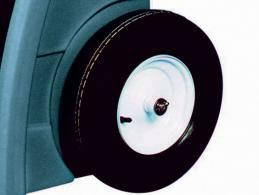 The pneumatic tyred wheels allow it to be used safely indoors and the tough construction protects it from damage during outdoor use. We will match any price, so improve your business with the dual gas cylinder truck today!